Richard Ingersoll; Philip Sirinides; and Patrick Dougherty (2017). 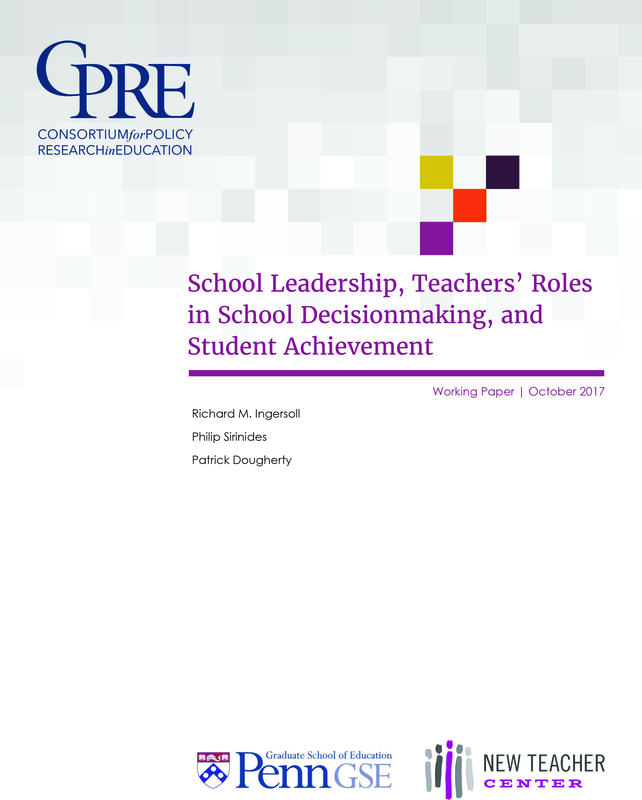 School Leadership, Teachers’ Roles in School Decisionmaking, and Student Achievement. CPRE Working Paperss.